August 8th 1818; on this day, 22-year-old John Keats returns from a strenuous walking tour of the Lake Districts and Scotland with friends. On the tour, he begins to show symptoms of the tuberculosis that will kill him within three years. Keats, the eldest of five children born to a lower-middle-class family in London, was a highly spirited boy known for fistfights and roughhousing at his private school. Keats’ schoolmasters encouraged the boy’s interest in reading and later introduced him to poetry and theater. When John was eight, his father fell off a horse and died, launching a long economic struggle that would keep Keats in poverty throughout his life, despite a large inheritance owed to him. His mother quickly remarried, and the five Keats children were sent to live with their maternal grandparents. The marriage failed, and their mother soon joined them. However, she died in 1810, and John’s grandparents died by 1814. The Keats children were kept from their money by an unscrupulous guardian, and John was apprenticed to a surgeon in 1811. Keats worked with the surgeon until 1814, then went to work for a hospital in London as a junior apothecary and surgeon in charge of dressing wounds. In London, Keats pursued his interest in literature while working at the hospital. He became friends with the editor of the Examiner, Leigh Hunt, a successful poet and author who introduced him to other literary figures, including Percy Bysshe Shelley. 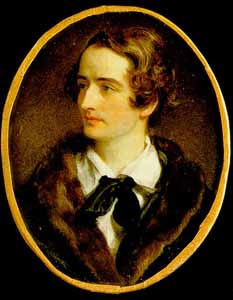 Although Keats did not write his first poem until age 18, he quickly showed tremendous promise, encouraged by Hunt and his circle. Keats’ first book, Poems, appeared in 1817. After that, Keats devoted himself entirely to poetry, becoming a master of the Romantic sonnet and trying his hand at epic poems like Hyperion. In 1818, the same year Keats’ health began to fail, his financial difficulties deepened as his brother Tom also battled tuberculosis and another brother’s poor investment left him penniless in Kentucky. The one bright spot in his life was his fiancee, Fanny Brawne. From January to September 1819, Keats produced an outpouring of brilliant work, including poems like “Ode on a Grecian Urn,” “Ode to a Nightingale,” and “La Belle Dame Sans Merci.” But in early 1820, Keats’ tuberculosis worsened. Hoping a warm climate would ease his condition, he traveled to Italy, where he died in February 1821, only 25 years old. Keats - along with Shelley and Eliot - one of my favourite English poets.Magic are books indeed where long after their passing, we can immerse ourselves in their time, their imagery, their verse.